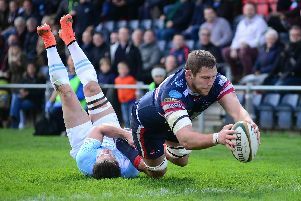 “It’s been a month since we were last at home and we are looking forward to being back at Castle Park but we also know we need to improve our record here,” said head coach Glen Kenworthy. “We’ve only won one league game at home this season and our record throughout 2018 was atrocious at times so it would be nice to put on a performance for the fans. Knights are unbeaten since the turn of the year and back-to-back away wins have seen them climb out of the bottom four. 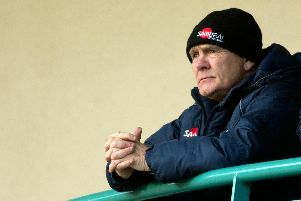 “Obviously the wins at Coventry and Hartpury have lifted spirits and eased the relegation worries we had at the end of last year,” said Kenworthy. He added: “Although we beat them down in the capital at the start of the season the score rather flattered us because we weren’t good at all on the day. “They are a niggly side and they are a tough team to beat and when they have been beaten it is generally not by a huge margin. Carnegie had to work hard to beat them 22-16 last weekend. “They are very direct and they are going to test us and if there is any complacency after back-to-back wins we could find ourselves in trouble and that is something we’ve spoken to the players about this week.